We have advertised a 3-year postdoc position in Language and Computation to work on the Emergence of Negation and Epistemic Modality Subproject. Click here for more information and instructions on how to apply. 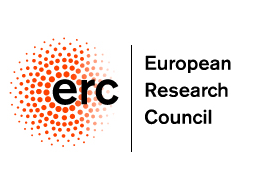 The ERC has a number of schemes to facilitate interaction with ERC projects. If you are interested to collaborate with us through one of these schemes please get in touch. We have advertised a PhD position to work on the Expressing Disagreement subproject. Click here for more information and instructions on how to apply.